Equipped with special Multi-Turf sole. No more cleat injuries when sliding. 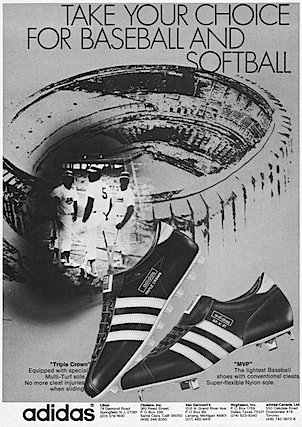 The lightest Baseball shoes with conventional cleats. Super-flexible Nylon sole. 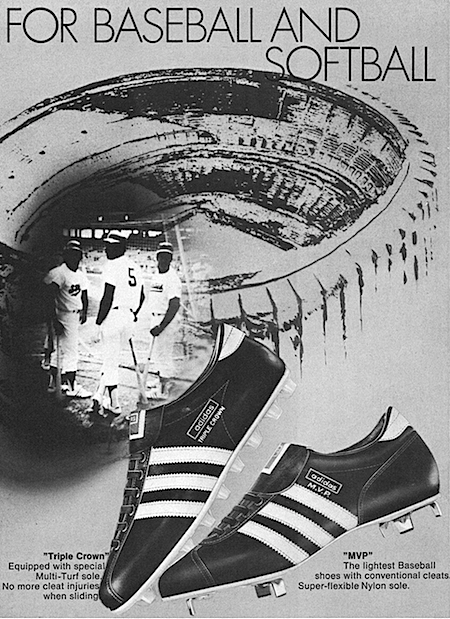 adidas Baseball Shoes "It's official"